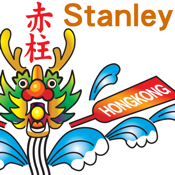 Sun Life Stanley International Dragon Boat Championships is one of the largest dragonboat races in the world. We have over 200 teams from all over the world to challenage and face the same goal. Since 2009, we have SunLife HK Ltd as our title sponsor for the festival race. This App provides instant race result and race info for the racing day.